This custom game day cinch drawstring bag is perfect for value building and it is largely sought by sports marketers who are trying to attract customers to their business. This cinch can be largely hand out during outdoor and sports events. This cinch drawstring bag is available in colors of your team jerseys. 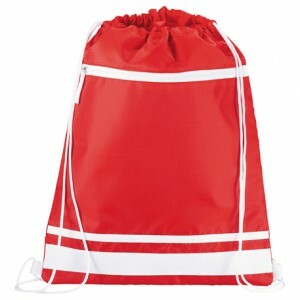 Well-suited for gifting during tradeshows, sports events, marketing events and many more.Attractive price savings can be availed on bulk orders of this drawstring bag. 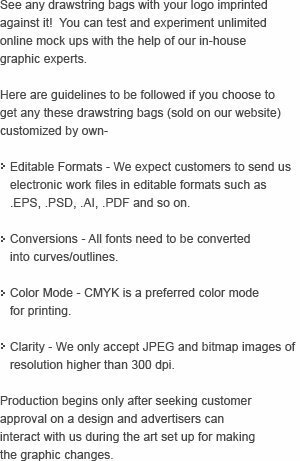 Request a quote to know wholesale price savings for this personalized game day cinch drawstring bag. Features –It has a large main compartment as well as a zippered front compartment for additional security and organization.